Never buy a packet of taco seasoning again! It only takes a few minutes to make a big batch of taco seasoning and you may already have all the ingredients on hand. If your family enjoys taco inspired dinners as much as mine, you will definitely want to start making your own taco seasoning. I don’t cater to my kids taste when it comes to meal planning. Having said that I am also a fan of whine-free dining (Wine? Yes! Whine? No thank you!!). To reduce dinnertime whining I make sure each week includes a few dinners that the boys are going to eat with little resistance. One meal that is always a hit is taco night. Therefore at least once a week we have a taco inspired main dish. We don’t always have tacos. The flavors of taco seasoning work with all sorts of dinner ideas. I might saute chicken and vegetables and sprinkle taco seasoning over the top. Other nights, I will microwave a sweet potato then mix the creamy flesh with black beans and taco seasoning for a quick enchilada filling. Initially I bought pre-made packets of taco seasoning, until I realized all the spices in the packets were already in my house. 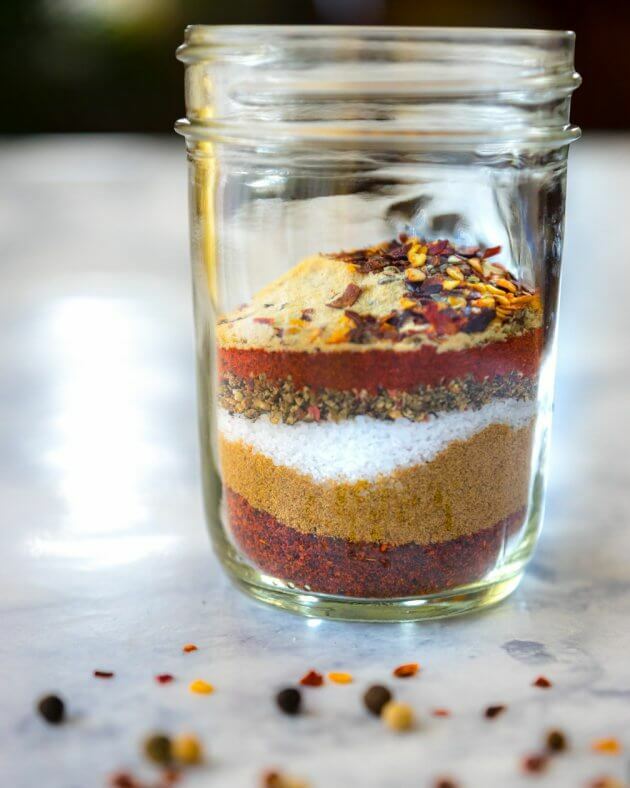 Now I make my own taco seasoning and you should too! Blending the spices yourself means you can control the amount of spicy heat or smoky flavor. You can also make it healthier by skipping the preservatives and extra salt in the store bought pouches. Knowing what is in the blend, makes it easy to adjust the flavors while you are cooking and customize the balance of spices for a particular dish if needed. 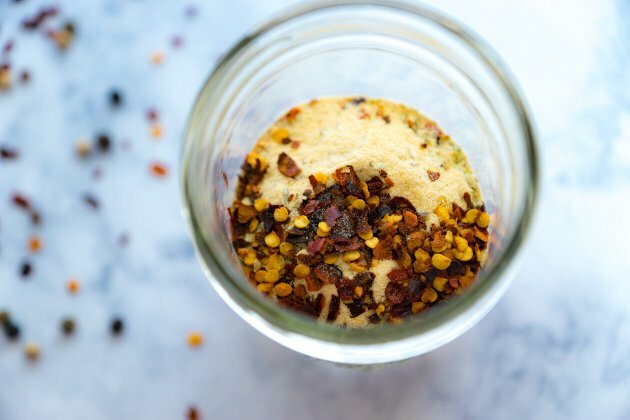 Give this homemade spice blend a try this week and stir it into your favorite taco recipe. 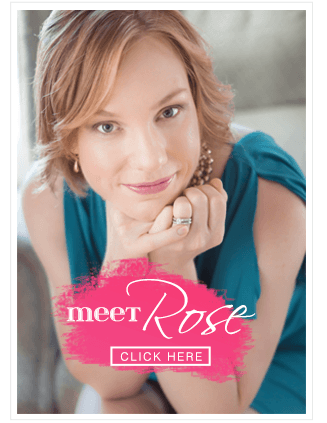 I bet you’ll be hooked! 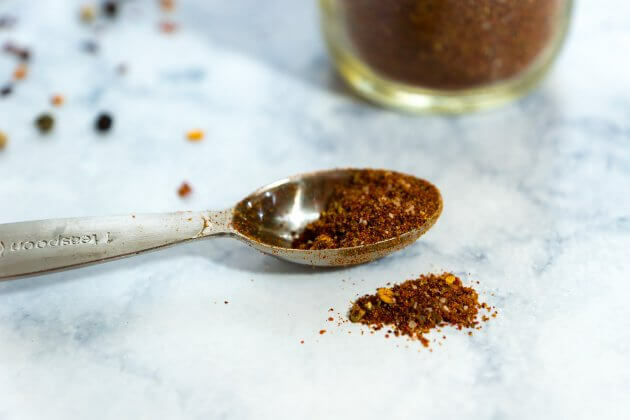 It only takes a few minutes to make a big batch of taco seasoning and you may already have all the ingredients on hand. Multiply this recipe to make a large batch to store or share. In a small bowl, use a fork to stir all the ingredients together. Store in a tightly sealed container in a cool dry place. Modify the amounts of each spice in this recipe as needed to suit your taste preferences. Control the amount of heat in your seasoning blend by using more, or less, black pepper.